How accurate is the departure information? Live BART loads the data directly from BART's servers via the internet. So this information is as good as BART's information. This data is refreshed every 30 seconds. Why does Live BART need location services ? 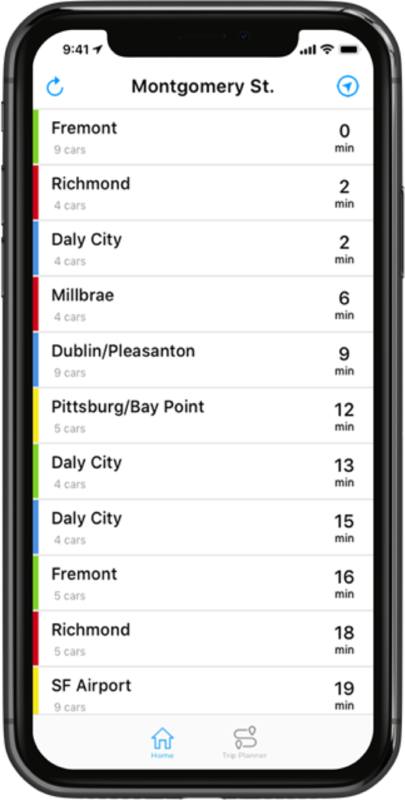 Live BART uses your phone’s location services to locate the BART station nearest to you. 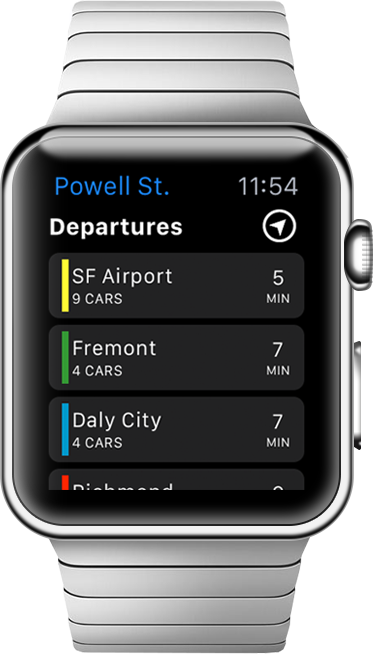 On which iOS versions does Live BART work? Live BART has been certified on iOS 8.0 or later. Jonajo Consulting LLC, the owner and developer of Live BART, shall not be held liable for improper or incorrect use of the data described and/or contained herein. The information contained in these data is dynamic and may change over time. The data are not better than the original sources from which they were derived (http://api.bart.gov/docs/etd/etd.aspx). It is the responsibility of the data user to use the data appropriately and consistent within the limitations of real-time estimated departure data in general and these data in particular. Jonajo Consulting LLC gives no warranty, expressed or implied, as to the accuracy, reliability, or completeness of these data. By using the Live BART application, you agree to these terms and conditions. Get it now for $1.99 FREE on the app store! Get it now for $1.99 at the App Store! Promotion! FREE Install until President's Day!